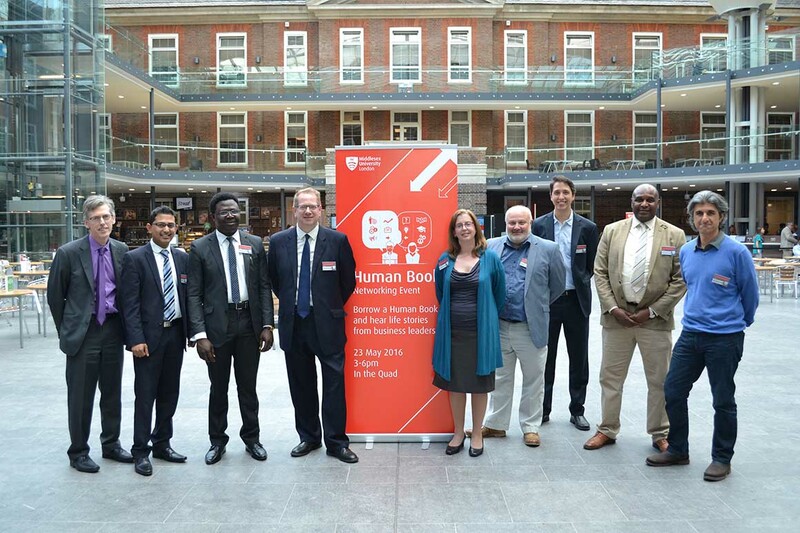 Middlesex held its first ever Human Book event on 23 May. Following the popular style of speed-networking events, students were booked time slots with distinguished staff and alumni to receive valuable business and careers advice. Modelled on checking out books from a library, the Human Book event allowed students extended one-on-one time with business leaders who in turn were keen to pass on their knowledge to the next generation of entrepreneurs. Ikra Hashmi, who graduated from Middlesex in 2015 with a BA in Accounting, believes the event was a great confidence builder for students and recent graduates like her. “I was able to talk to professionals from high-calibre jobs and now I don’t think I will be as nervous in a job interview because professionals are just normal people who have worked hard to get to where they wanted to be. Event organiser Matthew Lawson, Head of Library and Learning Enhancement at Middlesex University, said: “The Human Book event takes the familiar framework of a library from which students borrow books and gain knowledge. “In our library students borrow Human Books who are experts in a particular field with skills and experience which the students can learn from and have one-to-one conversations with them for 20 minutes. The purpose of the Human Book event was to allow students to gain valuable insights to enhance their career decisions and their employment prospects. Students studying on Business School programmes were able to meet a diverse mix of professionals and ask the burning questions they had about a particular role or industry sector. Danish Bagadia, Head of Performance Media Marketing at Google and Middlesex University Marketing Management alumnus, said: “I think the event has been interesting. I did not have these kinds of events at the time I was studying here so it’s an amazing initiative Middlesex has had for students.